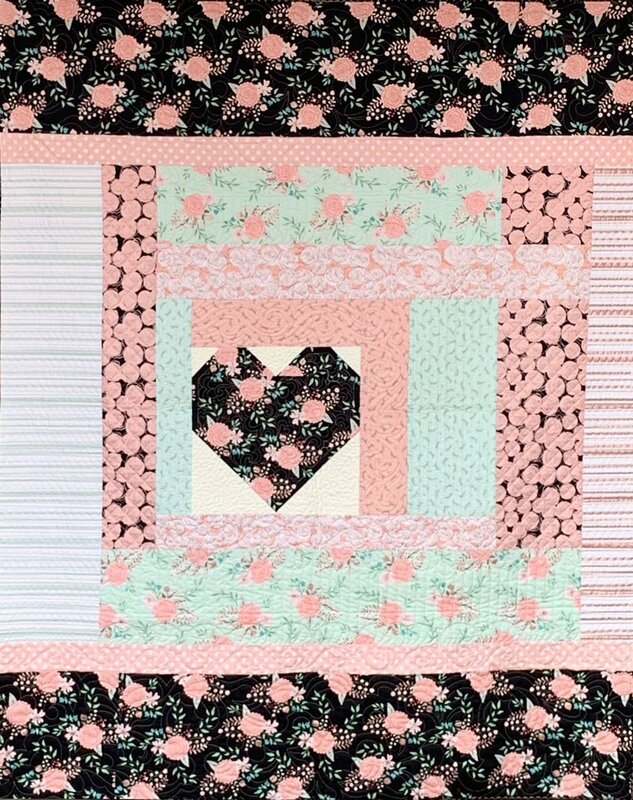 This sweet quilt is made from the Riley Blake Bliss line. Kit includes: pattern, fabric for the top and binding. Instructions are included for either a straight or scalloped finished quilt. Finished size is approximately 53 1/2" x 67".